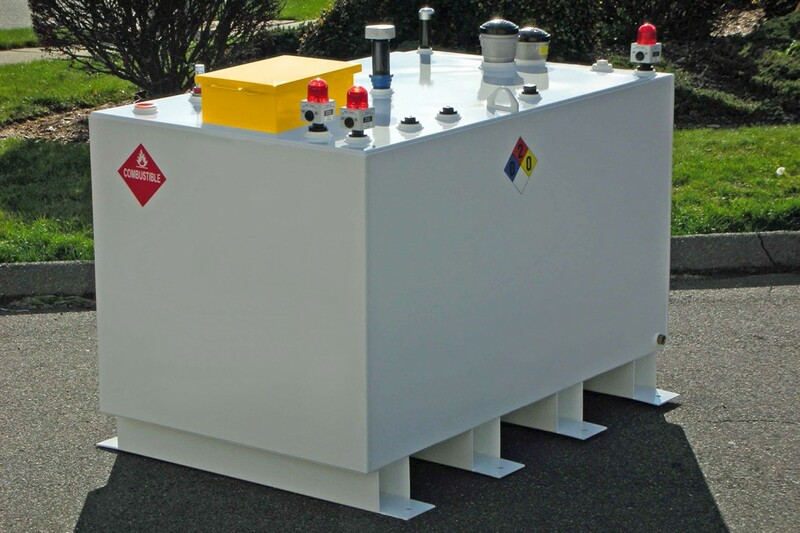 Day Tanks are an above ground emergency source of fuel for stand-by power generators (gen-sets) that are sized to automatically maintain 12 to 24 hours of fuel immediately next to the gen-set usually drawn from a larger fuel farm or tank located elsewhere nearby. 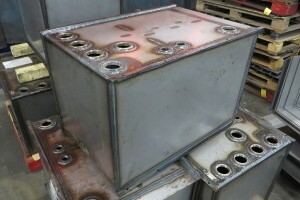 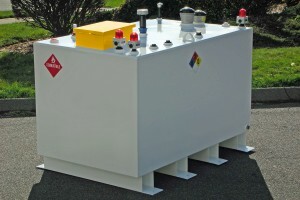 Such Day Tank systems typically include a full day fuel storage cell (sized to fit the gen-set 12 – 24 hour fuel consumption requirements at full load), pump, motor and control unit. 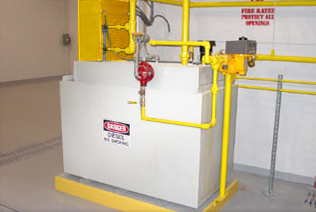 UAI program of Day Tanks offers a range of solutions that will match most standard applications, sizes, fuel capacities and run-requirements within the industry as well as exceed industry performance and safety requirements. 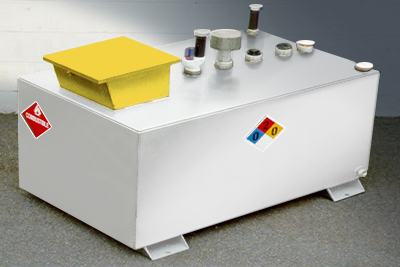 Heavy duty pumps sized in accordance to application requirements. 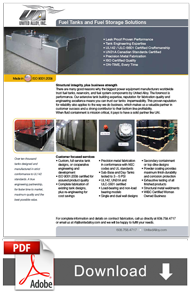 For complete details please call UAI to speak with one of our qualified ‘solutioneers’!